Now that we've covered what this case study is going to look like, let's start getting into the good stuff! 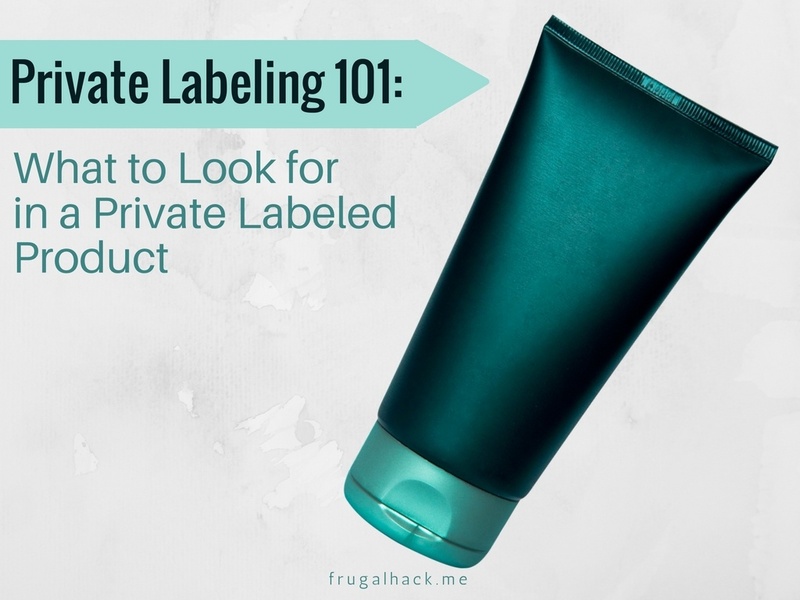 Obviously, you need a product to private label, so what do you need to look for in a product to determine if it's a good seller? Well, that's not exactly a simple question to answer, but in this article, we'll be going over exactly what I looked for and why I looked for these things. Let's dive in! For those of you completely new to private labeling (and Amazon for that matter), this section is for you. I covered this in the previous article, but I wanted to cover this one more time, so everyone is on the same page. If you already know what PL is, feel free to skip this section. Private labeling is the process of buying a product that is already created, slapping your branding on it, and selling it as your own. For example, if I found a product that I liked (ie. chair), I could find a manufacturer making this product, order a bunch of them, and throw the FrugalHackMe logo on it. Then I could sell them on Amazon as FrugalHackMe chairs and reap the profits. The idea behind private labeling is not inventing a brand new product. Instead, you're taking a product already created, adjusting it to your liking (ie. color, size, etc), and selling it under your brand. That example sounds extremely simple, but it's actually a bit more complicated than that, as you want to find something that will actually sell. The chair marketplace is pretty saturated, I'm sure, and shipping a chair would be super expensive, so that would be a bad example to private label, but you get the idea. Now that we've covered exactly what Private Labeling is, let's talk about the marketplace you sell it on: Amazon FBA. You can technically sell your product on any marketplace - even in stores if you can find a retailer willing to stock it, but for most people the starting place is Amazon and more specifically Amazon FBA. Amazon's Fulfilled By Amazon (FBA) program ​works like this: you send your products to Amazon's warehouses, your items go on sale on their website, then they ship your products to customers who buy the products. They also manage all the customer service and returns that are involved with your sales. There are fees related to this program such as storage fees, shipping fees, disposal fees, fulfillment fees, etc. Despite all of the fees, many people (myself included) find FBA to be worth the cost, as your products get exposed to millions of people and all you have to handle is ordering and shipping your products to Amazon. They take care of everything else! In addition to FBA, Amazon also offers a service similar to how eBay works called Merchant Fulfilled. Selling via merchant fulfilled works like this: you stock your own items, you handle your own customer service and returns, and you handle the shipping of your products to customers. The downside to this method is that you have to be able to store your products and you have to do a lot more work per sale, but the upside is you don't have to pay near as much in fees. There are a lot of steps to private labeling, but choosing the right product is arguably the most important. If you do this wrong, you're guaranteed to fail from the get go. Because of that, I'd suggest you research A LOT about your product idea(s), prior to taking the plunge into PLing it. These are the first three non-sponsored products that show up when you search "chair" on Amazon. Do you see the issues I see? For one, Amazon is the seller of all 3 products.​ If Amazon only sold 1 of the chairs, and there was healthy competition from PL brands, I could get past this, but since they pretty much have the market cornered, this is a red flag. The products are expensive. Products selling over $40-$50 usually are not impulse purchases, which means your customers are likely going to do a lot more research than if it were $30 (ie. look at well established brands and reviews). That means, you're brand new chair with 0 reviews will not stick out to customers. The reviews on Amazon's chairs are plentiful and really good. All three of these chairs are rated 4 stars or better with well over 1k reviews each. Competing with these products would be a real challenge! At this price, you would have to source this chair (shipped from China to Amazon) for less than $27.30 just to break even. That would be a real challenge! Now that you have a small taste of what you need to look for in a PL product, let's get into what EXACTLY you should look for and which aspects of the product are most important. In this table, the items listed under "Most Important" are my personal requirements for a PL product and the "Less Important" items are nice to have in a PL product, but not necessities. Of course this is all based on preference, so some may feel more comfortable with certain items on the "Less Important" side and visa versa. Competitor's listings have room for improvement. Ability to expand your brand (ie. If you sell a cookie sheet, you could expand into more baking products). As I stated above, these requirements are my own personal guidelines, but you can adjust them as needed to fit your goals. These requirements are very important to look at when vetting a ​a new private label product. Selling a product at $15 on Amazon, doesn't leave much room for profit after Amazon's fees. If you estimate about 50% of the price goes to Amazon for FBA and shipping fees, you're left with $7.50. You'd have to source a a very cheap product to make that worth it! There are some exceptions to this rule. For example​, if you found a super light item like a set of measuring spoons that you could source for $2 or less, you'd end up profiting about $7 per set if you sold them at $15. That's a great ROI! Best Sellers Rank is the rank of the product given by Amazon. The lower the rank is, the more the item sells. So, by having a competitor with a BSR of 7k or less, you know the product sells well. Every category is different in size, so a BSR of 7k in Video Games (very small category) is going to sell​ a lot less than a BSR of 7k in Home and Kitchen (very large category). However, a 7k rank in almost all categories is still good. Having a lightweight product is imperative toy our shipping charges not just to Amazon, but from China as well. China is a long way from the US, which means it's quite expensive to ship products, so you'll want your product to be as light as possible. ​Having competitors with good reviews is a great indicator that the product is well liked, which provides you proof that the product can sell and gives other customers reassurance that the product is a good one worth buying. However, you don't want a competitor with too many reviews, or it will be harder to beat their product. Recognizable brands are more trustworthy than a brand no one has heard of. If you walked into a store, that sold Tide detergent and a no name detergent for roughly the same price, which would you buy? The answer is probably Tide, because you recognize it as a good brand that's widely used. As such, trying to compete against a brand like that would be very hard unless you drastically undercut them, which would eat into your profits. An optimize product listing is more apt to rank better than one that isn't. By optimized I mean, a listing that is stuffed full of good solid keywords, with great bullet points, a good title, and professional pictures. If you competitor has crappy images, misspellings in their description, or they only use a few bullet points, then you have a good chance of making a better listing than theirs, which means you'll likely rank better after selling some products! Electronics and glass items have a much higher chance of breaking or not working than a baking pan does. And since the products you're private labeling are being shipped thousands of miles, it's much safer to ship a product that likely won't break than one that might. I say no electronics specifically, because if something is incorrectly installed or faulty, you could have a fire hazard or a recall on your hands. It's not worth the risk to PL them in my opinion. ​Similar to the weight issue, you don't want a large product, because it's cheaper to ship. The smaller the product, the more that'll fit in a box, the more that'll fit on a pallet, and the cheaper they are to ship. You won't be able to get exact prices, but you can estimate it. To estimate Amazon's fees, you'll want to find a similar product, enter the ASIN into Amazon's FBA calc, and estimate the cost of the product from your supplier. Most suppliers will give you a quote within a day, so getting this estimation should take no time at all. Products selling for $50 or less a much more likely to be an impulse purchase than products selling for more than that. For example, are you more likely to spend time researching a salad spinner that's $20 or just buy it, because it has good reviews and you need it? ​Amazon is tough competition. They PL their own items, they control the marketplace, and they sometimes even lower their products low enough where they lose money just to get the Buy Box. Because of that, I'd try to avoid selling a product that has Amazon as your competitor. That being said, if you can source an item cheap enough and Amazon is only selling one item that's competing with your's, your product may still flourish. Deciding this will depend on your personal preference. If your PL item is a dog toy, you could easily expand your brand into other dog related items (ie. beds, collars, etc.). The advantage to this, is once you grow your product and brand, people will start to recognize your brand as a good one, meaning you could start ranking new products faster. ​If you're competitor has a problem with their item, you could manufacture your's to relieve this problem. For example, if your competitor is selling a baking mat and customers complain that it's too small, make your bigger and solve that problem for them! Some private labelers sell seasonal items and make a killing, but in my opinion, you​ should start selling an evergreen product that can be sold all year. This way, you'll get more steady sales instead of one surge. As an example, a seasonal item would be a Christmas tree or an Easter basket. A non seasonal item would be a laptop case or a coaster set. That pretty much covers what to look for in a product when thinking about PLing it. I know it's a lot, but as I mentioned, this is THE most important step to ensure your PL journey has a chance at being successful. If you buy a PL product that has too much competition from Amazon, that's too heavy, that has breakable parts, that has competitors with 1,000+ 5 star reviews, it will be very hard to rank and beat them. In the next section we'll talk about how you can find a profitable product to private label. Stay tuned!